This story not only resemble my experiences, somehow this story may relate many people out there who think same what I used to think. From the small age, I wonder why I am not so much lovable, why my parents didn't show me that love which I always needed? Why at the small age I was treated as an alien? I am saying these because I was wrong. Why? Yes, I agree my mother and father gave me 15 rs for the lunch when I was at class 10. Yes, I agree whenever there was a picnic at my school, my hand always failed to say "I am in". Yes, I agree when I joined college my friends were smarter than me in every way of perspective. Yes, I agree when I was in the college I was bullied because of my dark complexion and short height, not only boys, even girls were there to bully me. Yes, I agree I never get a chance to buy myself clothes. All the clothes were chosen by my parents. Yes, I agree, I wanted to look cool by having a nice haircut but eventually, I have to cut my hair short and ugly way because of fear of my parents. Yes, I agree when my friends were riding a bike, showing them cool and I was traveling by bus, getting pocket money of 50 rupees where 30 rs was for traveling. I agree my childhood and teenage life was not that much interesting, I used to curse myself getting this life, cutting my hands with a knife because of getting nothing when I needed most. I was wrong because I never saw that effort of my parents, waking up at 4'o clock, going office, just to sure that I will get 15rs every day. I was wrong because whenever I was failed to hands up for a picnic dad took me to ride and made my face smiling. I was wrong thinking college friends were smarter one, yeah they were smart by look but soon I found I was good at studies better than them. I was wrong to think I am the only one guy who is bullied, they were also bullied by someone more stronger, and about short height, soon I was in the heart of that girl whom many boys wanted to make her. I was wrong because those clothes were best for me till today because I have my own fashion. I was wrong, being handsome and cool is not only the things you wanted to be, because if you are poor, you are ugly but if you are rich you are the most handsome person in this world. I was wrong about the concept of having a bike because my parents were saving money for my future, saving what if one day they will leave and there will be no one to look me after. 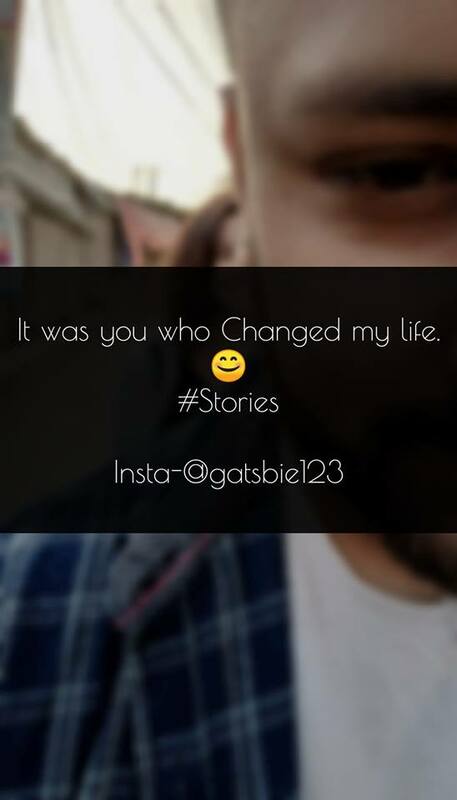 "This is your life, you have to make your life, you have to fight for your life, no matter people judge you, no matter you get problems, you have to rule this life as KING 👑 "
After 2 years of a Breakup! We were standing in the same place. Hands were shaking and the normal heartbeat was instantly replaced. expecting not a reply, of course, why would I? But suddenly! "Hello, how are you" was the reply. or I am being a drama? or I am being sadistic? How would she when I made her life a lie? after so many years, maybe in a mall, the cafe may be far away or in a bus.
" I am good, what about you?" The conversation starts as you met for the first time. Without taking a single second, " I am good, too !" she smiled. I was certified of what I should clarify was going to sip some words. "You have got fat than before" she again testified. Ohhh why would you say like that, we were broke because of a silly brat named as "ego". "What does heart have? I want to say by holding your hand, "Why did I let you go ?". I want to make you a happy by erasing my every fault of making you sad. I always use to say by my mind, but not by heart that I don't miss you, I don't want to see you. But your face is as much as near to my mom! Whenever I want to forget you, my mom will appear in front of me. Seeing you after a long time, I want to hold you, hug you, I want to say don't go far from me, but seat beside by me forever and forever. "Ok gotta go, it was good to meet you" final bye was whistled from her. I was quite sure I will be drunk tonight enjoying whiskey or a beer. I know she is moved on, she has now a well behave boyfriend. She doesn't need me and my shits, and I don't want a comeback also. It was a great lie for me, too that I lose her and that is okay with me. 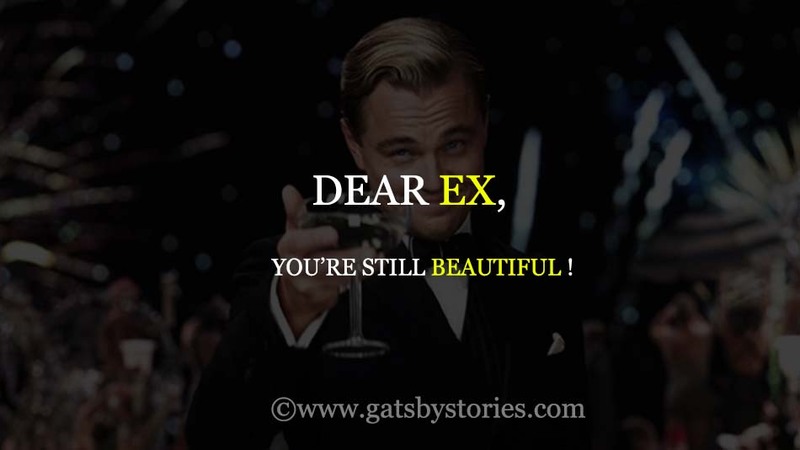 I just told her "You are still beautiful". • Self-respect is the greatest thing ever that no-one would give for you, but you need to maintain this. •Always be kind with the stranger and known people. •Your ex-girlfriend or boyfriend may hurt you but never let yourself deprive of getting the best lesson of the bad time. •Follow your own good type of trend. •Never let anybody hold your pain. • Always listen to your heart because the heart would give you the unique idea that every champ failed to provide. •Be a good time seeker and wait for the best partner for your life. •Don't waste your valuable time with any type of people. •Once you declared that I have got the best partner of my life then welcome to the beautiful destination. In your life sometimes you feel you don’t deserve them because you think you don't feel comfortable much with them. You think you don’t deserve a life where you are going through many problems. Maybe you have a low trusting issue. Maybe someone has broken down you. Maybe you feel your life is such a boring. But trust me, one day you will deserve what you wanted to. You will deserve the kind of love that makes you realize that you are special. Because you are you. But never try to duplicate yourself with others. In this universe, you are the one who thinks in a unique way. You are the one who could love you forever. You are the one who could convince you in a better way. You are a unique, man! One day you will deserve what you want. The pain and problems that hurt and ponder your heart will be cured. You just have to think and support “that you deserve this”. You always think precisely that you are nothing, no one will appreciate what you are. But you will get that love who will show you that you deserve the life you want to. You will get the love and care soon. You will get everything that you want. Just don't get hurry. You certainly deserve one who just loves your thinking. And not just your body, but your heart. You are worthy of that love which will not only exist on the surface. You deserve to forget all the memories which always hunts you like creepy stories. And from the above, you deserve to get someone who will never give up on you. This is your perfect time where you should know you deserve someone better who loves. Who will not judge you by your past? 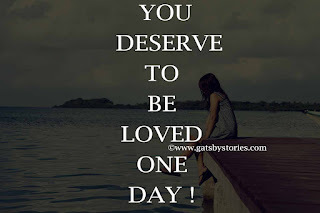 Just know you deserve to be get loved. The man/woman who will enter in your life will know about your perfect soul, lovable heart, pleasant smile, crazy style. You of all people are deserving of someone who won't look your face, body, money. Who won’t judge you by your changes and run? Will hug you when you will miss your parents. In these past years, you have already felt love is not that easy. It will never be perfect. But please try to understand, one day your imperfectness will be perfect for somebody. And you’ll find that person that will help you fight your battles, and you’ll find that person who will fight with every period of their life they have, just to see you smile. Never get worried about time. It will be fine because the waiting always gives you the sweetest result ever. 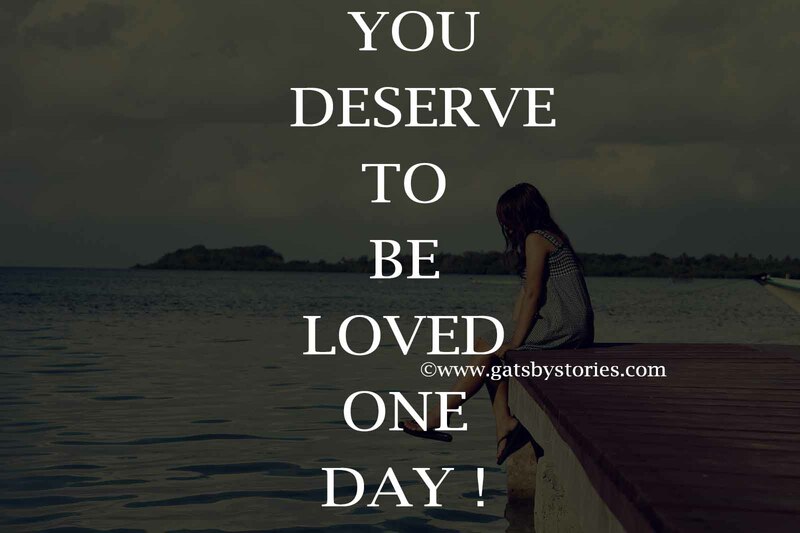 Because “You deserve to be loved one day”. DEAR ME ! YOU HAVE JUST STEPPED INTO TEENAGE ! Dear 13 years old me, you're so young and fresh. You see yourself growing physically and mentally. You were like a caterpillar and now you've become a butterfly. Dear 13 years old me, you've just stepped into teenage. You see your face changing. You've got pimples and you're now scared of the mirrors 'cause it shows your ugly face. You keep searching for the ways to look pretty, ways to enlighten your skin tone in YouTube, but honey, this is not going to help. Looking up to Hollywood celebrities, who after doing plenty of surgeries and applying tons of makeup ask you to be yourself for inspiration doesn't help either. You need to understand that this is inevitable at this time you need to accept the change you see and let the time heal it. You're beautiful and young. You've got to love yourself. Dear 13 years old me, you like that cute guy in your class. You can't stop staring at him. You feel like punching the girls who talk to him. Just to get his attention, you starve yourself to look thin. You put makeup and things you don't even know to look beautiful in front of him. You think it's love but it's just the attraction, the demand of the time. You don't have to cry when you lose some random guy. Maybe he's like a cloud, after he goes you'll see the bright sunny day. Not all the relationships are beautiful. Some are toxic too. You need to understand not everyone stays with you till the end. Dear 13 years old me, its okay to make mistakes. It's fine when you don't get good grades sometimes. You have to understand that knowledge is important than grades. This is the time for you to explore yourself, to find your passion, to set your goals. Dear 13 years old me, you always look sad and depressed for no reason. You get angry so quickly. You often slam doors, shout at your parents. You feel like they don't understand your problems but remember one thing Noone in this world loves you and understands you better than your parents. Your mother understood you even when you could not speak when you were a baby. They understand everything. Talk to them. Share your problems. Spend time with your family. Remember, there's never a generation gap but communication gap. Dear 13 years old me, utilize your freshness in something productive than over a random guy. And the last thing, you're amazing the way you are, don't ever try to change yourself for anyone. I am sorry, I don't want to create an issue about what you wanted to say always. The one and only thing that I am not satisfied with you is "Your mentality, these days, anymore". You guys are not always correct. I am now matured enough to do about my life. Please do not compare me with others. Do not compare what they do for a living and what their lifestyle is. I am a happy mom, I am happy eating 80 rs mo: mo rather eating 250 Rs. mo: mo. I am happy traveling on the local bus rather riding a cool bike. Why can't you give a better try to understand that "Money is not the only king that you always search for, but better time will heal in bulk". 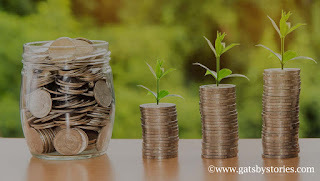 Yeah, I know your suggestions and I am forwarding keeping in my mind that you gave for me: "you have to build your future in your own way, you have to grow by your own experience, if you will earn money then you can survive in a better way, blah blah ". You should understand my dear parents"I am happy with my this beautiful time with less worth of money". What others have doesn't mean I should have that too. I am happy with my 1-2 friends, I am happy with my job. At least I am earning dad, I am not asking you for pocket money, I am making my life. 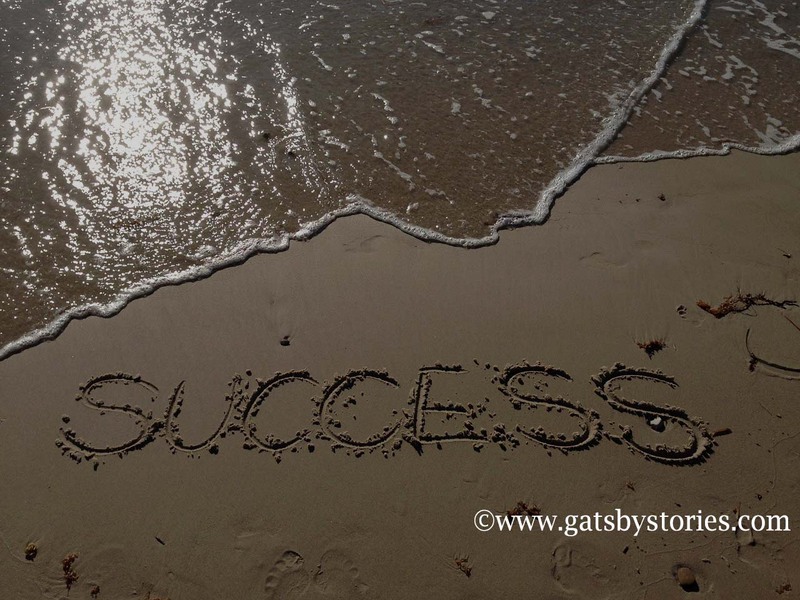 It takes time to be successful, it takes time to get a well-settled life. 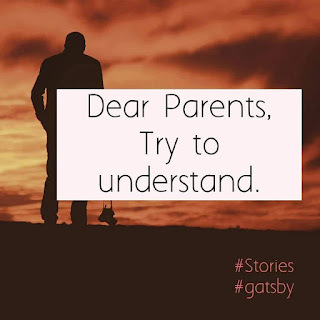 You always give me an example about yourself, like "what you did to live the life, what you did to raise me, " I know that mom and dad, I know the pain, I know what you did, but that doesn't mean that will apply always. I have a hope, you should trust me. Believe me, understand what I am saying, Understand that I am not wasting my life. I know what will be wrong for me and what will be the perfect selection for me. Treat me as your son, support me, make me feel confident. Because one day if I will lose that you will lose me. I am better than others and I am proving it. In these past days, I have learned something about you "Difficult Girl". There is no such thing as TOO difficult, TOO damaged, or needing TOO much to worry. If you think that, then you are part of the reason that she and 208538420 other females like her feel this way. If she is damn difficult, I can promise you, she is worth for you. She just wants to authenticate whether you are worthy for her or not. Provide or give a better reason to her in order to make her comfortable for staying. Provide her a reason to let full permission herself to lit your world in a way like a stranger. More than always, she’s lit and you kind of best friend since childhood just being a crazy baby. Make her think she is important: Take the priority to ask her how her day is. Message her a text telling her she’s beautiful just because she loves that. Simple greeting messages of morning and night go a long way. Plan a date. It doesn’t have to be standard and swag type,photo-shoot; it doesn’t even mean you have to spend together in an outing. Plan something that seems as you usually spend the time to care about her and think about her almost time. Date naps go a long way. 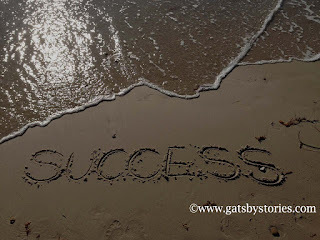 Everyone, including guys, need some re-assurance every time once in a while for their life. It’s a natural human emotion. Make her feel like she’s the only girl in the world who have curly hair. Show her a verification that nothing is truly broken in this beautiful life: If she’s been distracted/frustrated/loneliness over in the past or was treated poorly by someone either by you, she already has some broken sense of relationships over you. PROVE HER WRONG.Do any task you can do in order to prove her wrong that all guys are not the same. Load your force of love and fire those words in a sweet voice. When you spy her, don't stalk at her as if someone is distracted to a sadness path, stare at her and wonder how can someone hurt this type of beautiful soul with kind and wonderful heart. Show her nothing is easy: Let her know you know that she’s difficult and that’s one of her finest qualities. Being difficult is so adamant upon, but you find it intimidating yet amazing. 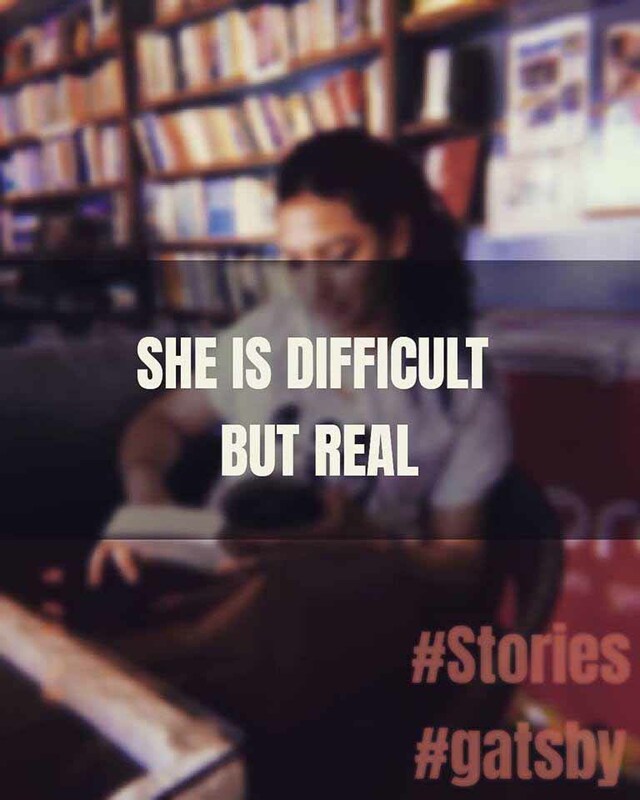 If she wasn’t difficult for you, you probably wouldn’t be interested in such type of tough love story and wouldn't be booked the seat of the first position and that does not matter how difficult she was at that time, you probably wouldn't give up on her. She’s worth the fight and the real queen for a king like you. Make her happy in your own way, because you will lose the best girl who is worth valuable in your entire life. 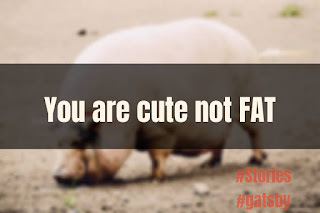 You are cute not Fat ! Actually, I am confused about how it took me more than 24 years on this planet to make me feel that it is okay not to be perfect. I didn’t know before that you can be happy at everything you will get, I thought if there was anything you were still working on, you were supposed to find yourself on the theory of "one day it will be perfectly fine and time will give me a big hamper of wonderful surprise". So, I watched while I studied. I did watch many people find things that made them happy in their own way. I watched people do their own things what their mind said, but I never heard about the single voice of my mind because I thought I am a normal guy and didn’t feel like I would deserve it. I watched many people true faces with reality. The main thing we should understand is: every person on this planet has a sack of happiness and sadness and the difference is that your sack is quite different from others. You have the disappointing reality of not having the same quality. Everyone knows what your struggle is. Who else can pretend that they don’t struggle at all? Obviously, everyone. You just have to be humble. Everyone struggles and they have to survive this reality. Your eating issues — whatever you have— you are allowed to go through this pain, too. You’re allowed to have something wrong with you. You’re allowed to have a coping what others do. Every single other person does this, though their methods are less visible, less optimistic. What if you just accepted, at this moment, that you are not perfect? As a normal human being, you have failings, just like other. You have a mountain to climb, and you must climb it. Like many other things comes to you. We feel a bad feeling, we want to drag it down and give a better try to emit out. We understand not to have a lack of willpower or some moral failing, we set out to survive. The main theme some of you always will feel bubbling to the surface when they talk about your weight. It like begging for you to announce it, to apologize to any outsiders reading this: no, please don’t think being overweight is healthy. Yes, I believe it is something to switch your mind on to passion and hard work. But how many backfires of negativity you will get, how many fundamentally terrible personality traits do we not treat in this same way? Many fat people become fat because they are precised by the fatty things. Perhaps the way goes out — the way goes through — is to observe the reality as it is and accept it, for this time, and not to feel it is insufferable. We all have mistakes and we are faulty, we all need to understand how to be gracious with ourselves, how to move forward bit by bit. You are fat and it's okay. You are allowed to fail again and again. You are allowed to pick up and start again in the new form. Because trust me "You guys are cute". Why You ? Why Us ? Simple question of two words,but it will take your whole life explaining the one you love, why you and why us, I love you because I have no reason, if I have a reason to love you I don’t think that would be love anymore because my reason may change after some time, some months or some years. I love the way you are, I love you from head to toe, I love your pure heart & I love your pure soul. No matter what you say and what you try to become on your outer layer, deep down inside there is a kind, loving, soft-hearted person hidden & that person also wants to love, wants to be loved and wants to be explored and wants to be wanted, after all, we all are humans and we are all created the same. It’s just that we try to wear a different mask to protect ourselves from this selfish & cruel world, we pretend to be very strong and pretend that we don’t care but deep down inside that caring & loving heart also wants someone to love, hiding emotions, hiding feelings are okay to some extent but end of the day no hearts can live without loving someone. The heart is designed this way, no matter how hard you try It will slip away with the person you love or the person who loves you unconditionally. The reason, "YOU" is because it belongs to me and that is one and only "YOU" and I do not need anyone to be present in anywhere in my entire life and no one knows the actual reason behind why only you? Because it’s not you who decide. It's your heart who decides, hearts are designed in such way that they do not tell you anything until they make a decision and eventually you come to know after giving it away to someone you love or someone who loves you & hearts are never meant to be yours that’s why they do not listen to you, hearts knows where they belong so once you meet that someone, they automatically exchanges and once the exchange is done. You carry someone’s else’s heart, so imagine if your own heart didn’t listen to you, do you think someone else’s heart will listen to you? That’s the exchange of hearts and you eventually fall in love so much that you only say, "YES YOU". No one else, but you. I love you. Did you find any reason why you? No right, so let your heart decide what it wants to do and whom it wants to belong, hearts never go wrong, they know the best. It’s simple, because my hearts know yours very well and our souls are connected so well that life would be really simple with us being together, so many similar things to share & so many opposite attractions to explore, so many memorable nights to remember, so many fights to fight, so many beautiful memories to create, so many dramas to show, so many little things to enjoy, so many sleepless nights, so many happy moments to live, so many painful nights to spend, so many days to cry, so many generations to create and so many things to do and so many things to be together, so many reasons to be just happy and so many things to look forward for the other day, that’s why us, we can be so us that people will envy with our being so much the us. Life can be so interesting & adventurous if you are with the person you love & Life would be greater if the other person loves you more! THEY IGNORE YOU BECAUSE NOW THEY HAVE REPLACED YOU SOMEHOW ! People these days do matter in selfishness. 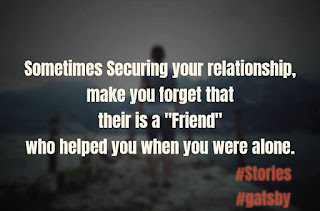 Once you were free for them and they were good at you because they used to get some benefits from you! From top to bottom, heart to heart, home to school/college you were very close together and you used to be ready to fight with someone else if that person tried to hurt your friend. In the whole universe, there is no strongest bond than friendship(after parent's love). But now time changes. Your destination changes, your track of traveling changes, your place to talk by taking a cup of tea changes, your relationship status changes, in a conclusion you are changed, now! You didn't use to go to college if I weren't ready for college. You didn't use to take first syrup of tea unless I take off mine. You didn't use to go for an outing if I refused it. Even you didn't want to for a ride if I was in another's friend ride. You didn't use to take your meal without asking me if I had my meal or not. You used to say that the relationship doesn't really matter if I have a friend as like you, but my dear friend where are you, now? These days, I often spend my whole days thinking about the beautiful past days that I had spent with my real one. Nowadays, my friend doesn't want to talk with me in a phone call, don't want to message me in social media, don't want to smile together, don't want to walk together. But why? The only one reason, "Because he's committed, now"! My mind is rounding with a question and answer like that. I was feeling like I am the only one to whom I can talk with a relatable question. Because my mind was creating some questions and answering itself. He could not get a friend like me in his entire life, because he failed to judge the people! He failed to attract the most careful friend because he ignored me as HE HAD REPLACED ME SOMEHOW! What type of moral does this story want to provide? • Never trust anyone blindly with your soft heart. •Never get too much close and engaged with short-term people. • Live with your own thoughts. •Never let anyone control your emotions and feelings with full effort. •Spend your some time with some pets rather than people. They usually don't know how to break anyone's heart in real. •Gather some knowledge and fun to recover the beautiful time that someone ruined in your past life. •You are the only one who can love you with full of emotions of love at any cost. 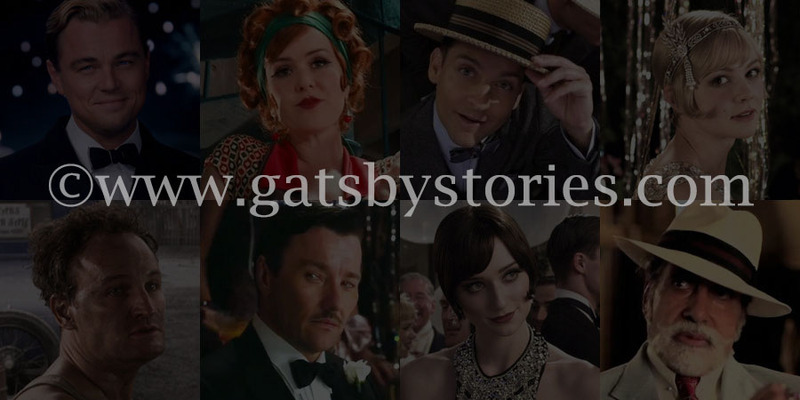 As there are many characters in 'The Great Gatsby' movie, but these are the main Great Gatsby Characters, we should not have to forget. He is a young guy and a narrator of the novel, 'The Great Gatsby'. In the novel, he is expressed in an honest way who could examine and judge the person in a better way. He is business minded as he was graduated from Yale and used to go to New York for better business tactics and ideas. 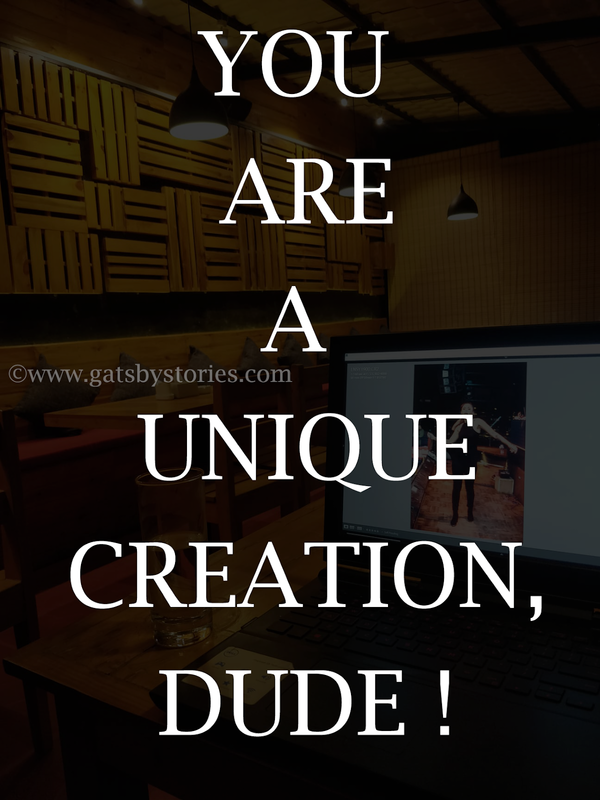 In the novel, he had narrated 'The Great Gatsby' in a visual way. 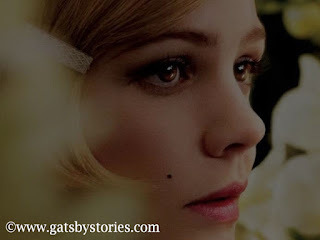 Daisy Buchanan is expressed as a young woman and Gatsby's love in 'The Great Gatsby' who is also a cousin of the narrator of this novel, Nick Carraway. In the movie or novel of 'The Great Gatsby', Daisy made a promise with Jay Gatsby that she will be waiting for him to marry. 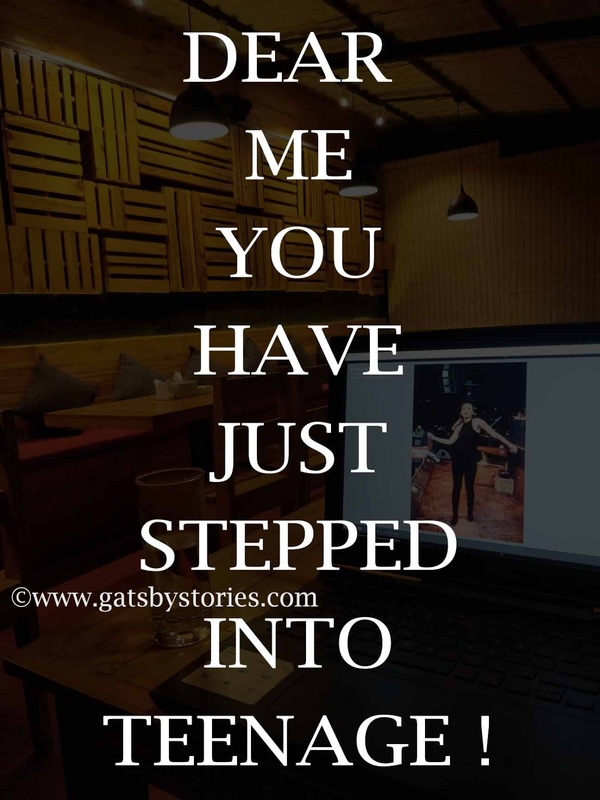 But when a well wealthy man called Tom Buchanan, she decided to break the promise that she made with Gatsby and she accepted the proposal of marriage from Tom Buchanan. Later after marriage, she wasn't much happy with Tom Buchanan and managed to hide her own pain at her husband, Tom Buchanan. As we are already known about Tom Buchanan from the above paragraph, he is the husband of Daisy. He is regarded as the wealthy man in movie and novel, but of a cruel character. He used to be a member of Nick's social club at Yale. He had adulterated his attitude with racism and sexism and never want to live in a happy gathering. He also had a lover, Myrtle but feeling less love. That love had no aim to be happy, and he doesn't want to express himself with positive vibes with Daisy either. 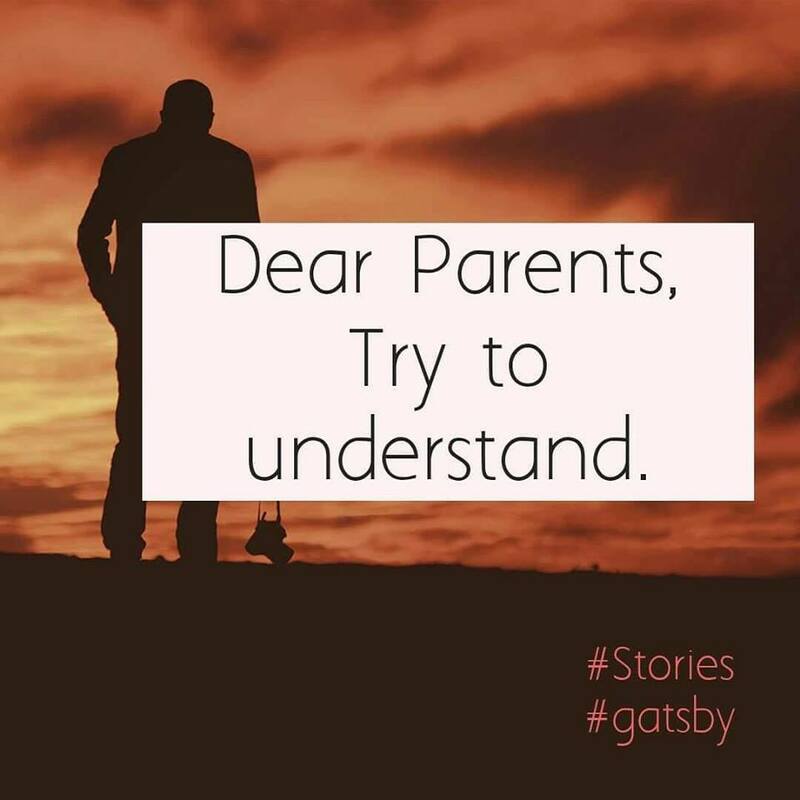 But when he noticed about the affair between Gatsby and Daisy, he became outraged and envied with himself. She is the lover of Tom Buchanan. Her husband had a rundown garage in the valley of ashes. She wasn't happy with her husband, too and choose a Tom to share her life where Tom used her when needed. She once falls in love with Nick while narrating a novel. They got a chance to meet with each other due to of Daisy as she belongs to the friend of Daisy. She was unfair and always tried to hide the truth to win a golf tournament. A man with a white beard and owl-like eyes who met Nick at a Gatsby party. Nick found Owl eyes having a look at Gatsby's library, dashing and real. A Bollywood star is known as 'Amitabh Bachchan' who had a white beard and wore a white cap in 'The Great Gatsby' is expressed in the role of 'Meyer Wolfsheim'. He is expressed as a friend of Gatsby in a movie who is pro in illegal activities and helped Gatsby in some illegal activities like liquor. 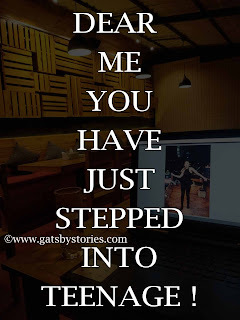 Reviews of "The Great Gatsby"
First of all, I want to tell you about that, here I am gonna describe the theme and reviews of 'The Great Gatsby'(movie and novel as well). As I have watched and read 'The Great Gatsby', I will describe The Great Gatsby genre, Great Gatsby Themes, the American dream, love stories, love failure, desire,, relationship stories, love funeral home Dalton Ga, etc. As it will be in a long paragraph, we will read it in the chapter by chapter. (Don't worry, you will get all the chapter link just below the post). Actually, themes in The Great Gatsby can be categorized under many titles, but we will pick the most scene scenario seen in The Great Gatsby movie. 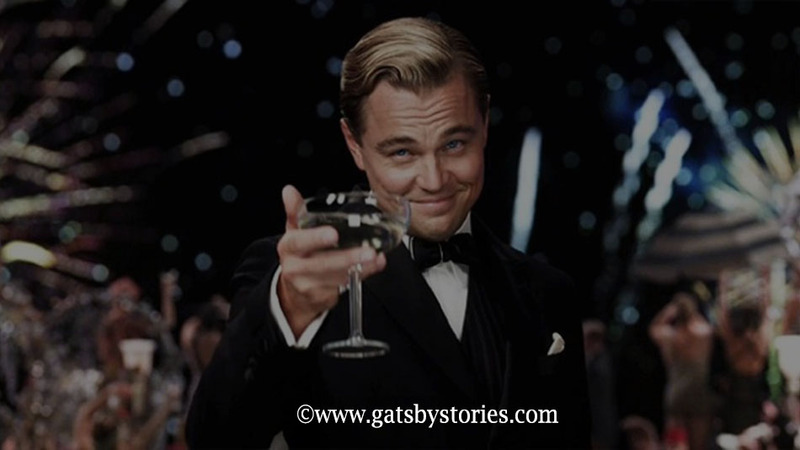 Jay Gatsby can be regarded as the love failure because of the American dream in The Great Gatsby. At a time of the 1920s in America, there was no respect towards the love of any couple. In addition to that, Jay Gatsby was unemployed and didn't do anything for family. 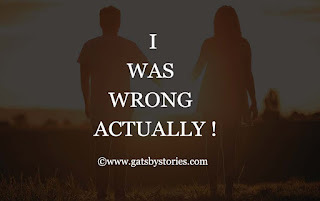 However, he managed to be happy and used to show and share some love with his girlfriend,'Daisy'.It was like thwarted love between 'Jay Gatsby' and 'Daisy'. 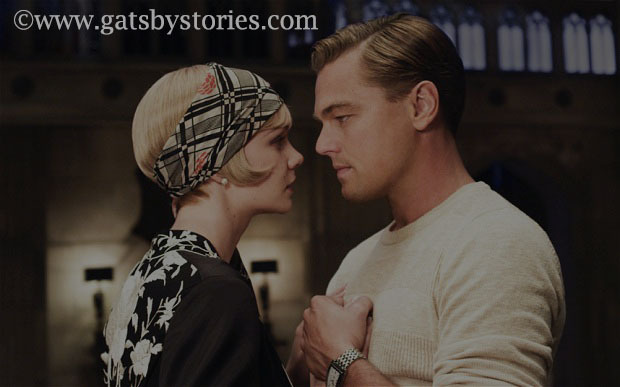 They used to be less romantic because Gatsby's economic condition didn't let him do so for better romance. The American dream is like the tactics which can be generated by anyone in America. But according to the novel and movie of 'The Great Gatsby', Jay Gatsby is seen as a failure in that part which compelled him to leave his native area for certain time in order to balance his life carrier. We all know that our life can't be run by our wealth only, but we need a loved one, too in order to gather happiness. Such like that, they were in love and used to gather happiness together. But there was an enemy in their sweet love story called time. Yeah, time! 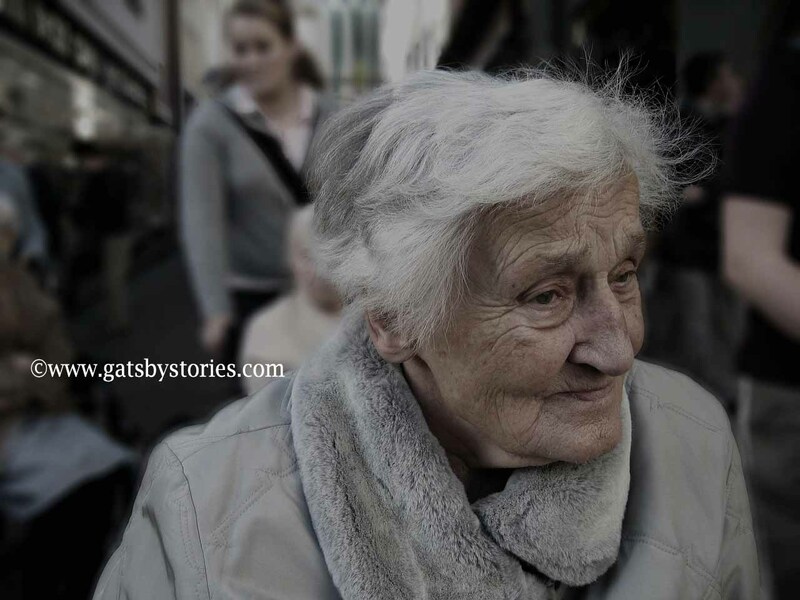 When 'Jay Gatsby' had a 'Daisy', he didn't have enough money to chill, but later, he missed his loved ones to chill with as Daisy was married to 'Tom Buchanan' afterward. As I had already said that we can't live life with wealth only, but how can we be fed if we have only loved ones losing wealth? 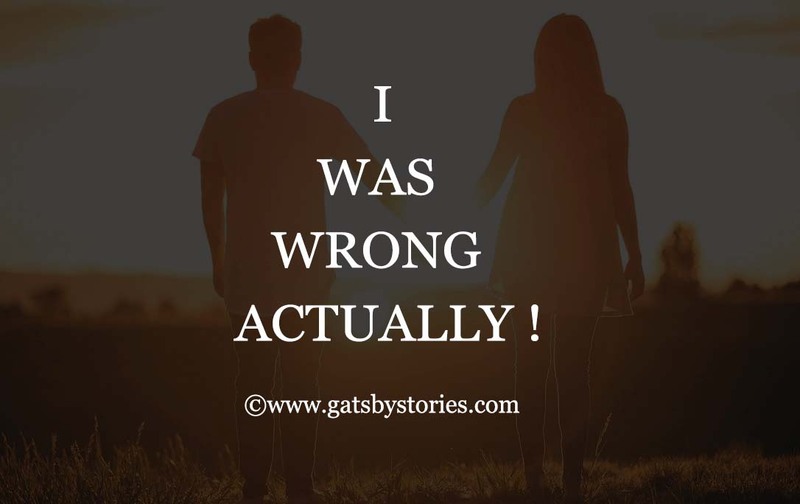 In order to get the meaning of the first line of The Great Gatsby, we don't need to forget that time was the best enemy for Jay Gatsby which leads him to be a successful failure. 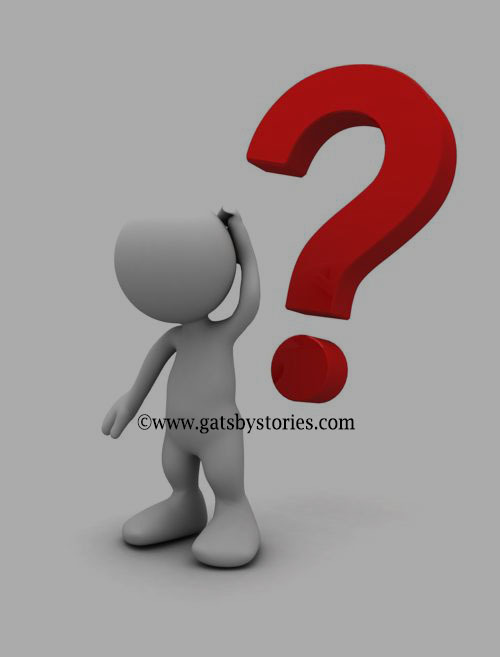 The above-described part is the main reason behind the failure of 'Jay Gatsby'. I pulled my chair out and started to write a letter. The subject or title/topic of my letter was “I am extremely sorry, but I am escaping for forever and can't do anything”. In summary, it was my suicide letter. A sip of coffee and lips of cigarette I typed my first letter. Let’s go back and feel why I was writing this letter. I am a normal guy with normal wishes. The middle-class boy emerged with happiness was happily surviving but now the time is different. Time was frustration and full of tensions. I don’t want to live. 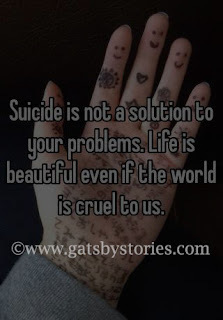 The family pressure of earning, a quiet heartbreak, dull confidence, and anxiety are the main thing which is proceeding me towards doing suicide. An unknown number was calling me. “Hey, is this Gatsby?? ?”,he says. “Yeah who is this ?? ?”, I replied. (I was about to write suicide letter and planning to kill me but here one of the well-wishers want to share something. Come on I want to die silently). “Yeah, you are right, but at least you have to tell me the reasons”. 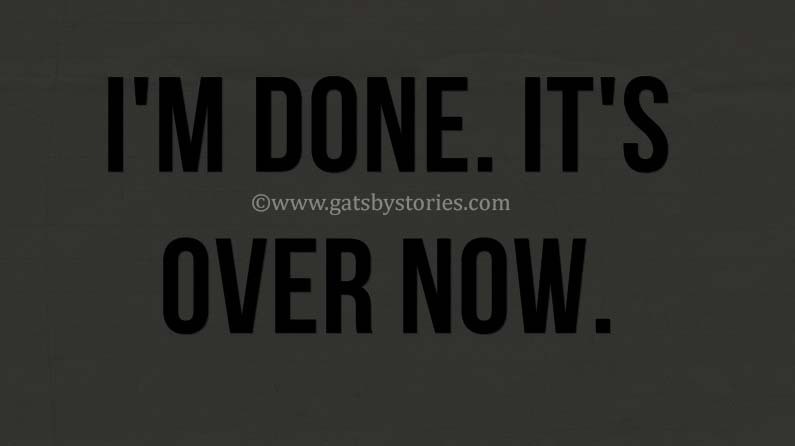 Now what to write, I am just numb……. "Bro! Are you there? " “Yes, I am, waiting for the post”. Suicide is not easy to talk about. A death by suicide is not easy to take. Being a mother, it is not easy to confess that your son escaped himself. As siblings, it is not easy to admit that your brother took his own life. 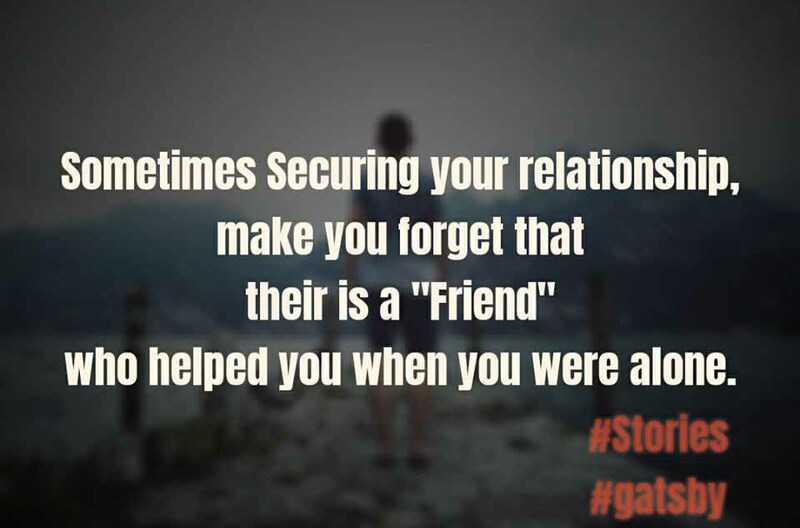 As a friend, it is not easy to brief that your friend passed because of love failure. In a sense, it feels like you failed. My mother committed suicide 7 months ago. She was right in front of me hours before it all happened. By all appearances, she was happy. I leave the office saying “goodbye mom”. We hugged, we said I love you. Little did I know that it would be our last hug, our last goodbye, our last I love you. When someone passes away from old age, we are prepared for it. None of us lives forever. At the time of their passing, there is an immense sadness from the loss of this person but the person who leaves sudden takes out all the emotions and pain at the same time. And that thing made me a loser when I saw my mother body. It was pale and silent. I cried, I cried a lot but the thing was I cannot do anything. I cannot call my mom back. She could say me why she is going away from me? You will die but the tears of your suicide will always remain on your family eyes. 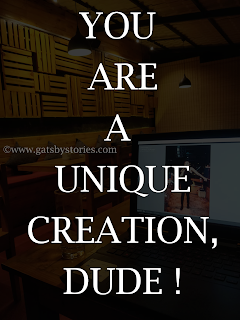 “Gatsby bro, I am sorry to hear that, now I know what is the real meaning of suicide, I am dropping the idea, whatever I will get the problem, I will fight for it”. But in fact, I cannot help them, they should help themselves. Sorry, mom, I was doing the same mistake which you did. I forget there are many people who love me, and if I do suicide what will they think about me. It’s time to sleep, deleted the suicide letter from my mind and restoring the positive vibes again…………. In conclusion, don't waste your precious time to fulfill your mind with negative vibes. Your effort of making yourself happy can multiply the happiness in your family. So, come on! Let's start it with ourselves!